Their father, born Erasmus Victor Badejo on 21st May 1921, was the son of farmer Gabriel Akingbade Badejo and Phebe Aderibigbe Badejo, a housewife. 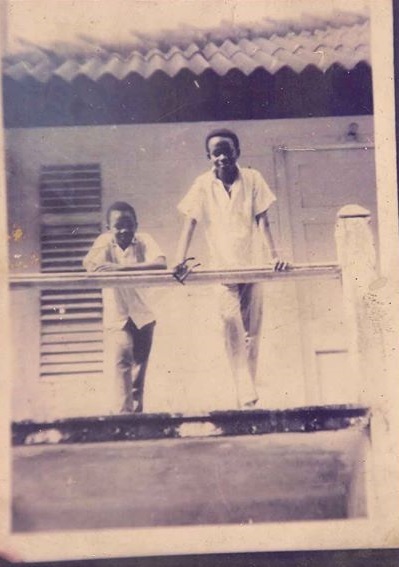 Victor was educated at the boys-only Government College in Ibadan, which had been founded by British expatriates and modeled in the vein of British boarding schools with the purpose of grooming Nigeria’s future leaders and trailblazers. For a time Colonial Nigeria had been ruled by the British as a series of adjuncts governed by telephone with local leaders serving as proxies (a system of governance called indirect rule) but later administrators argued that it was their imperial duty to introduce as quickly as possible the benefits of Western experience to the local population. Hence, schools like the Government College were founded. Victor graduated from the University College, lbadan, in 1952, and thereafter joined the Nigerian Broadcasting Service as a Senior Broadcasting Officer. Radio broadcasting had been brought to Nigeria in 1933 by the British colonial administration, and at first was used primarily to blast BBC broadcasts through loudspeakers placed in designated public areas. When the Nigerian Broadcasting Corporation was formed in April 1957 it was with a Briton as its head, but Nigerians quickly began to assume managerial positions and in October 1963, three years after his country’s independence from Britain, Victor Badejo became the first indigenous Director-General of the station. Boyega and Bolaji as children. ~ Chinua Achebe, There Was A Country: A Personal History of Biafra, 2012. In 1972, after working at the NBC for twenty years, Victor Badejo resigned from his position, packed up his family, and relocated to Ethiopia. His tenure as the first indigenous Director-General of Radio Nigeria left an indelible impression on his fellow West Africans. Diamonds are Forever: Ten Years of DAME (Diamond Awards for Media Excellence) asks us to recall “the very few multi-talented Nigerians who have made outstanding contributions to broadcasting, but who did not have to depend on broadcasting for a living as evident from their equally outstanding career outside of broadcasting.” The site then adds that, “Such achievers include: Archdeacon Victor Badejo”, a position he had received before his passing. ~ Ridley Scott, Cinefantastique Online, 2008. 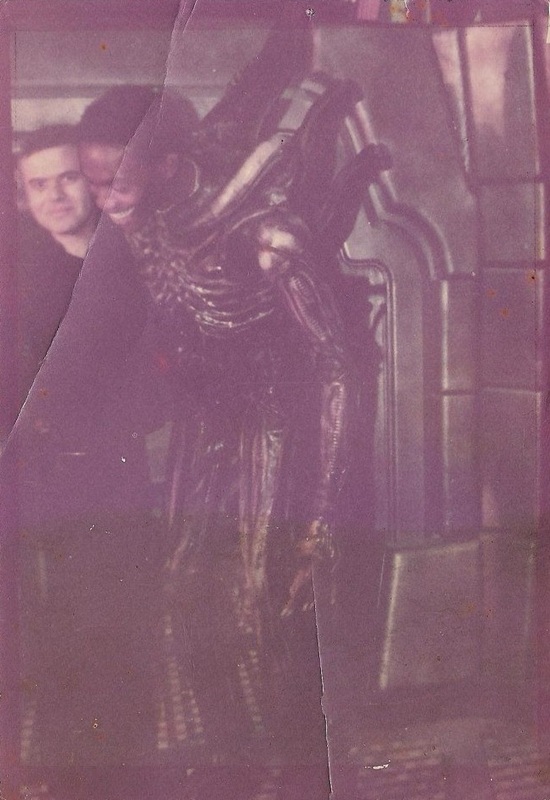 Behind the scenes with Giger. ~ Sigourney Weaver, The Daily Mail, 2010. Bolaji in full costume as the Alien. Then, on Friday, October 6th 1978, Bolaji filmed his last scene for the film – the Alien slithers from its hole and drops to the ground before rising, slowly, in a shroud of smoke. “Bursting out of that compartment wasn’t easy,” he told Cinefantastique. “I must’ve ripped the suit two or three times coming out, and each time I’d climb down, the tail would rip off!” Since the Alien being blown through the hatch would require an actor to be dropped and suspended by wires from a considerable height, the creature was portrayed in its final scenes by stuntman Roy Scammell. During the 1980’s their children, Bibi and Yinka, would be born, and Bolaji continued to curate his gallery. “Bolaji was jovial, full of life and pleasant,” remembers Yinka. “He was easy to get on with. He set high goals for himself and worked hard to achieve them.” Victor Badejo also relocated to Nigeria and was installed as Archdeacon of St. Lukes Church Uro, Ikere-Ekiti on December 1, 1984. Yinka relates that Bolaji had “never let having sickle cell anaemia affect his life. 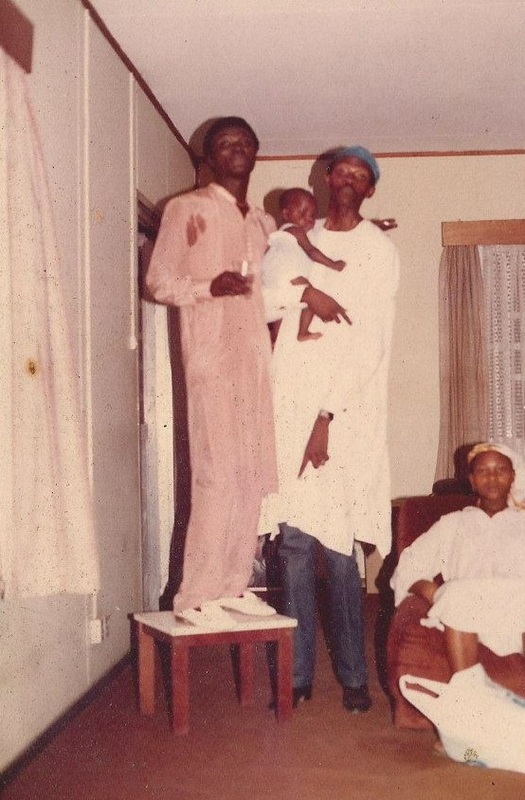 He coped with it as best he could.” Several months after his thirty-ninth birthday, Bolaji fell ill and was taken to St. Stephen Hospital in Ebute Metta, Lagos, where he died on the 22nd December, 1992. Special thanks to Bibi and Boyega Badejo and Yinka Richardson for their time, memories, and photographs. Additonal thanks and salutations to Leone Edwards and Phil Edwards. Yet again, another fantastic article written on this blog. To me, I can’t help but think that the greatest things in life, in our history, in humanity’s and Hollywood’s legacy are the contributions made by truly special people; talented, humble, grounded, graceful, charming, memorable and admired. Often times we owe the greatest things in our lives, and in our memories, to those special rarities in life; the simple, humble person who seems to grasp the basics in life and who rise out of obscurity to remind us of what we all strive to achieve. Godspeed, Bolaji and thank you to his family for giving us someone we will ALWAYS remember fondly. This was joyful to read. Absolutely wonderful article, really great to read. Really sheds a light on the life of this great man. Bolaji is one of those people I would have really loved to meet in my life. Thanks to the Badejo family for their assistance and thoughts. Ever since I found out who was playing as one of THE most recognizible movie icons of all time I remembered the name by heart. Any time someone could ask me who was starring as Alien, and I’d say “Bolaji Badejo” in a heart beat, just as naturally as answering a question about my own name. Thanks to his work and commitment, his memory will outlive all of us. Happy birthday, Bolaji! Fantastic article, it’s really interesting to learn more about one of the key people who made the Alien so memorable. The best A L I E N blog of the web. Exellent read! Outstanding research, compelling and so important. I’m grateful to now know more about this man and his life and the performance that has stuck with me and influenced me for my entire life. What a huge misstep that he was not asked to appear in Aliens. I haven’t heard of anyone ever asking Cameron why this is (unless I just missed it somewhere). Badejo could have made a bigger name for himself and competed with Kevin Peter Hall, like Lugosi and Karloff! But that’s water under the bridge. What we’re left with as far as his brief body of work is one of the best monster performances on film, if not the best of all time. What a huge misstep that he was not asked to appear in Aliens. I haven’t heard of anyone ever asking Cameron why this is (unless I just missed it somewhere). Bolaji was simply off the radar and couldn’t be found. 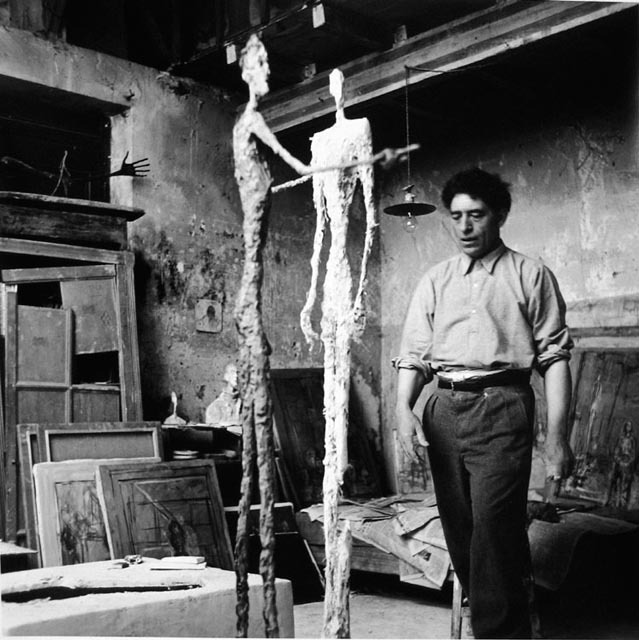 Cameron had Winston build eight foot tall puppets to compensate, but they’re not performers the way humans can be. A film featuring Kevin and Bolaji would have been something. A wonderful tribute to the man who was as much of a mystery as the ALIEN he portrayed. I so enjoyed reading about his life. To learn of his history and family. Thank you for writing this and his family for sharing their memories and photos. It is fantastic to finally get to read more about the man who played such a vital part in such an important film. Thank you so much for putting this piece together, for Bolaji’s family for sharing all this with you. I know I’m several decades too late for this but my condolences to his family. He sounded like such a wonderful individual and it’s a damn shame he left the world so soon. I’ve always wanted to learn more about the life of Bolaji Badejo and his marvelous work on the classic film, ‘Alien’. Thank you for the wonderful article. R.I.P. Bolaji. His legacy as the original (and best) xenomorph will forever live on throughout history. Great memories. Fantastic person. We sure miss him. May his soul rest in peace. A truly fantastic article. That story of Bolaji pinning Yaphet to resolve the debate on Parker’s fate is one I will recall fondly and share often. It’s very heartening to finally hear what happened to the man after Alien; the rumours were all very dark. It’s nice to see that the reality was much brighter, that he led a fulfilling life and raised a loving family, tragically short though it was. This deserves its own episode of Who Do You Think You Are? Excellent work about – from literally all accounts – an excellent man. Wonderfully written and researched article, much appreciation to Bolaji’s family for sharing their private and personal details with the very dedicated and respectful fanbase here. As much as it is fun to have the air of mysery around one of Sci-Fi’s biggest stars, reading this has done nothing but made me respect him more. I do wonder if he was allowed to have a crafty ciggie break on set, or was the suit likely to burst into flames if he did? Just curious if there’s any specific story behind the Bolaji cigarette packet prop. WHAT A GREAT MAN BOLAJI WAS R.I.P. Its beautiful that you’ve recorded this. There were many people responsible for crafting Alien into what it became. But the Alien wouldn’t be the Alien without Bolaji’s unique frame. Really fascinating read. Just re-watched this classic recently so it’s pretty cool to learn about the man who played one of the most iconic figures in cinematic history. 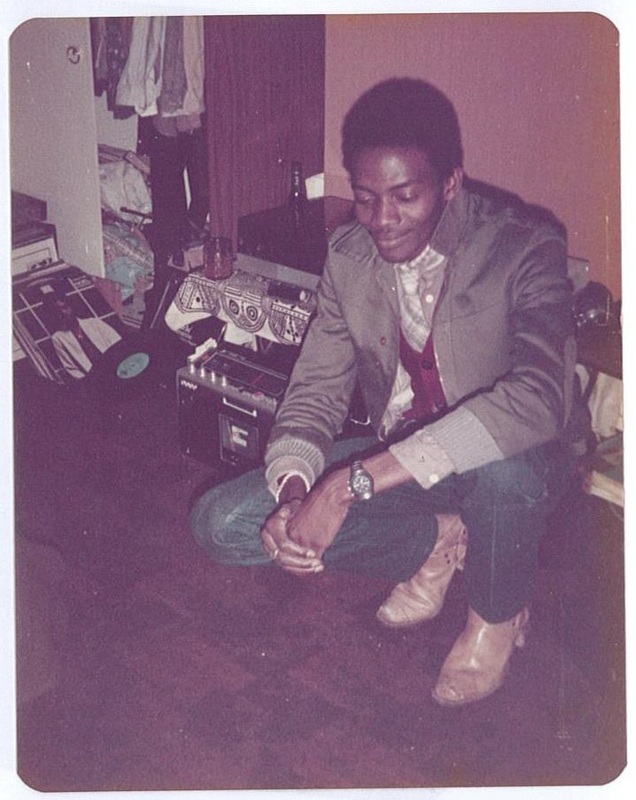 This is a wonderful article and I’m sure if this all took place in 1987, we would’ve known more about Bolaji, including videos, more pics, media, etc. The reason I say “1987” is because that’s when another amazing, tall, sweet, African-American actor was chosen to play an alien in a sci-fi movie: Kevin Peter Paul as the Predator. The difference being we have to mostly read about Bolaji, yet there are YouTube videos about Peter (https://www.youtube.com/watch?v=Uka0MhUgxFs). Sorry for crossing the streams, but I found their stories to be very similar; and at the same time, coincidentally unfortunate in that Bolaji and Peter died far, far too young in their mid-late 30’s (39/36 resp.). Thank you for such a detailed article. I came across his name on the AFI’s list of greatest villians and I was intrigued cos the name was Nigerian like mine. I Googled it and came across your post and I must say I don’t need to read much else. So sad he died but it’s heartwarming to read that his co stars thought so highly of him. Sadly, sickle cell anemia still kills people in Nigeria. I am inspired and hope to one day write about this person that few Nigerians have heard about. Amazing article. Seems the man was a real dude!! This is awesome. WHere did you get all this info? You actually got to interview the family and others yourself? That’s badass! Great article about the late (ALIEN) Bolaji Badejo, his life, family and on his colleagues in the making of the film Alien. As said already he was a calm, friendly, gentle giant. I was opportuned to have met him in the 80’s in Lagos, Nigeria. Was close to him and his family as his younger sister is my sister-in-law. Sadly he left too soon (after I moved to the UK) but fond memories of him will linger on. He was a bloke you want to spend a lot of time with. Throughout my association with him, he never discussed his role in the film, that shows great humility, had to get that from other sources, almost difficult to believe initially; a very humble man.Thanks to Gboyega Badejo (spelt Boyega in the article), thanks to Bibi Badejo (we’ve not met yet), Yinka and other contributors. May Bolaji’s soul rest in peace and our good Lord continue to comfort his family, Amen. Ayo. Great story coz Gboyega. I was trying to find about mama, and found this well written story.Can’t forget coz Bolagi. Each time we visited your family in London, he would come to the living room to say hello, and bend over a bit as he was taller than the door way. He was so pleasant. Like a gentle giant. Well the pleasantness runs in the family. Spent much time with sis Debo in my teens, absolutely loved her since. She was my big sis. As for art work, I testify to that as I still stare at paintings and craft on my wall, made by my mum, and taught and learnt from your mum. One of them, framed in a well chosen frame by coz Akin. Well enough said, much to say, but for another day. My regards and love to you all, mama, sis Debo, coz Posi, and you dear coz. Were there ever any publications or photos of his art? I’d be curious to see what his style and pieces were like.